Traveling can be a challenge when you're away from your dog. 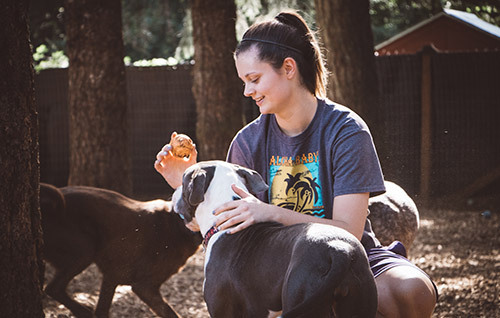 Area pet parents can rest easy – Reynolds Dog Resort provides every guest with ample love and engagement when you're away from home. 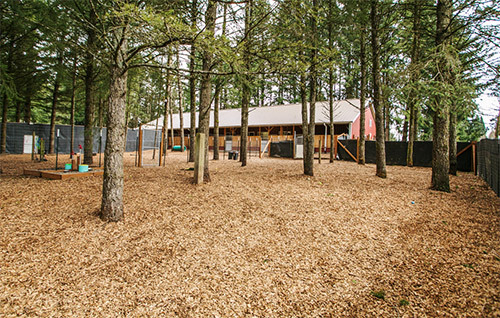 Our climate-controlled dog lodging areas have plenty of room to accommodate dogs of all sizes and breeds. Our highly-trained and loving staff ensures all guests have a comfortable, secure, and pleasant stay. Every canine guest can expect their stay to include all the comforts of home. We recommend keeping your dog on his or her usual diet. However, we offer a premium alternative at a small charge. Food & water is always given in freshly-sanitized bowls, of course! 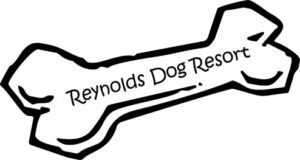 Give us a call to schedule a Dog Boarding Reservation! 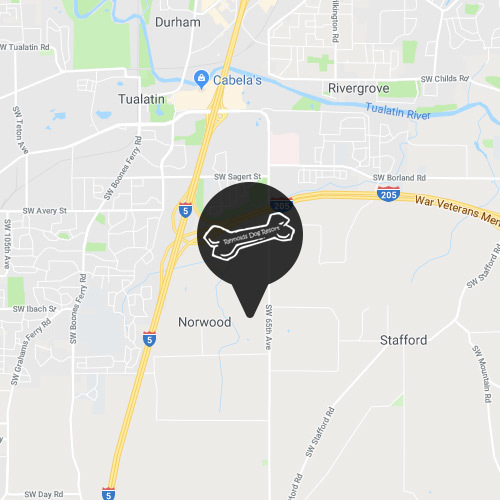 Dog Boarding is available at our Tualatin and McMinnville locations! Visiting or live in the famous wineries of Yamhill County? 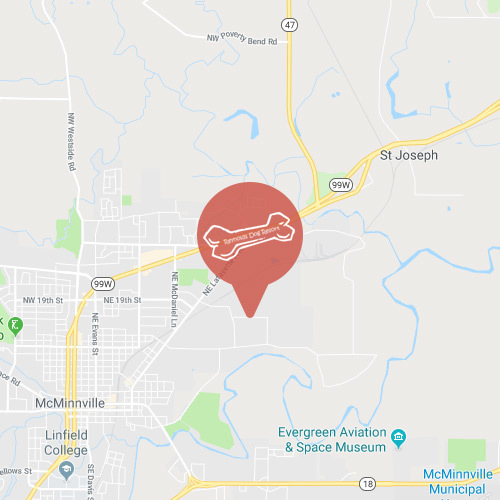 Stop by our McMinnville, OR location, operated by the second generation of Reynolds family pet care professionals. Just like humans, every dog has unique needs and preferences. 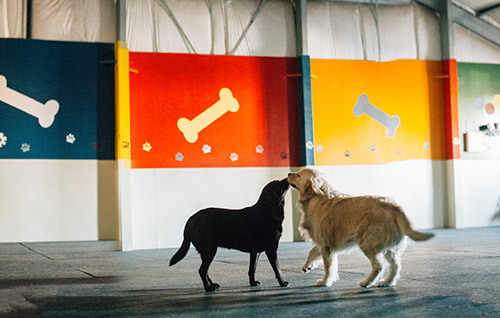 Because the right levels of activity and engagement are crucial to the overall well-being of our canine friends, we individualize the care of every visitor. Our popular activity packages ensure every dog gets all the fun and attention they’re used to getting at home. This is especially important when a social creature like a dog is away from home. We’ve also developed discounted activity packages made up of some of our most popular activities. Our Reservation Specialist will review them in detail when you call. Playtime! Many dogs want nothing more than to romp around and socialize with their fellow canines. If your dog prefers humans, our staff will happily give him all the cuddles and games he desires. Love & Cuddles. Treat your dog to the one-on-one attention of our doting caregivers. Cuddles, brushings, and more await your pup! Puppy & Senior Packages. These packages offer specialized care for puppies or senior dogs. Puppies benefits from extra activity and potty breaks, while older dogs will appreciate mobility walks and orthopedic bedding. Tasty Treats. Your dog will love our premium, house-baked treats made from all-natural ingredients and prepared right on site.